We’re almost halfway through winter. We share your suffering. But we can help! And we will. 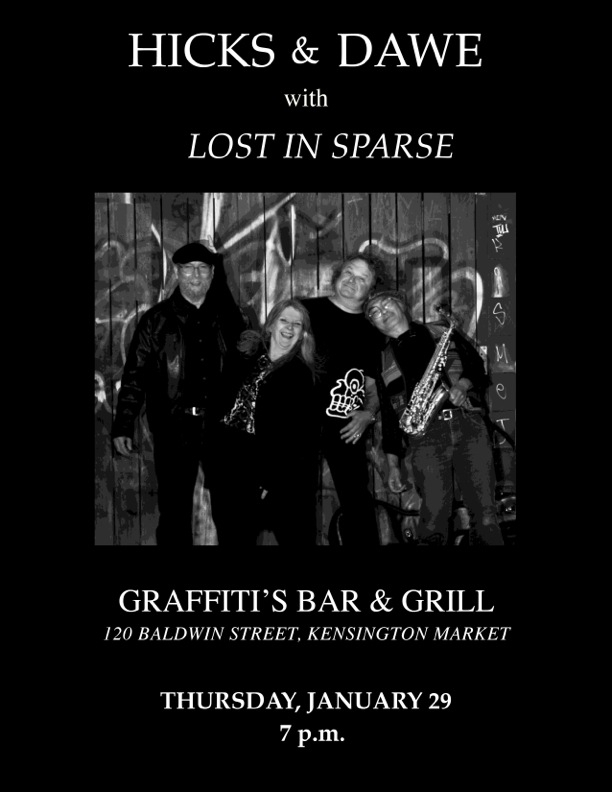 If you come to Graffiti’s this Thursday we’ll warm you up. Guaranteed. Starting at 7, we’ll be playing three sets of music interspersed with a number of crowd warming activities like watching you drink alcohol. And helping. We’ll be done a bit after 10, so lots of time to get some sleep afore the joys of Friday morning. Doc and I, joined again by Lost in Sparse – Neil Kitagawa on sax & bass and Martha Aykroyd on percussion and backup vocals. As always a unique set of tunes, never to be heard this way again.